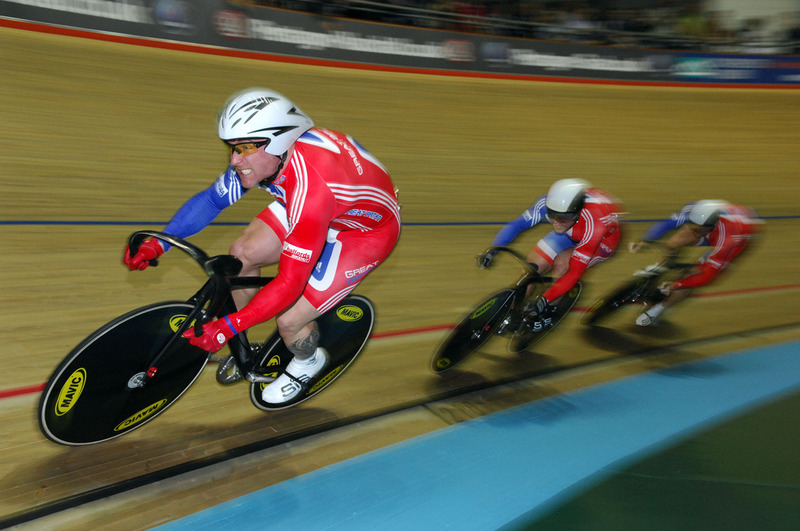 Olympic team sprint champion Jamie Staff has announced his retirement from cycling at the age of 36. The former BMX star switched to the track and became the best ‘man one’ in the world, mastering a highly specialised discipline and setting the fastest opening lap of all time at the Beijing Olympics. That time of 17.1 seconds for 250 metres still stands and his retirement, due in part to a persistent back injury, leaves a whole in the Great Britain team sprint trio. Cycling Weekly caught up with him to review his career and found he had some interesting views on what the future holds for Britain’s track cyclists. And he explains how close he came to quitting the sport after being disqualified from the Keirin at the Athens Olympics. Cycling Weekly: Why have you decided to retire? Jamie Staff: There were a few factors, but a back injury made me think about it a bit more. After Beijing everything was so exciting, you’re in the shape of your life and you want to do it all again, so you start looking at London and it’s very appealing. But then reality sets in and you realise what an uphill battle it’s going to be. My wife is American, my kids are American, and we’ve always said we’d go back to the States. My wife gave up a very good career as the owner of a hair salon. She had great clientele over there and she gave it all up for me. But the injury has been bothering me and the fact that the sacrifices don’t just have to be made by me, but by family too, brought me to the decision. CW: What exactly is the injury? JS: Before Beijing I did a lot of road work, a lot of work in the gym, and I had a really good base. After that we had a lot of commitments and I did the World Cup in Manchester really with only the condition I had left over from Beijing. I think we all had a massive low after the Olympics and came crashing back to earth. I went to the States for six weeks and didn’t touch my bike, I didn’t want to look at it to be honest. I started training again but I didn’t have that base. I could be very fast but when your legs are putting out that much power it puts a lot of pressure on your core and upper body and if it’s not strong you can hurt yourself. I had a weak link. Doing three rides at the National Championships didn’t help but I nursed it through. An MRI showed I had a bulging disc. Nothing is worse than trying to race when you’re injured. All these things mounted up. I asked myself: Can I give it 110 per cent? I don’t think I can. CW: Was it a deliberate move to wait until after the Worlds to announce it? JS: I told Dave Brailsford and Shane Sutton a month ago. They were disappointed to a certain level but they’re looking at riders all the time and they admitted they had some questions. I said I wasn’t prepared to think about London unless I could give it everything. They asked me not to announce it earlier because they didn’t want to create distractions before the Worlds. CW: What has the reaction been? JS: A lot of people have said very nice things. On the last night of the Worlds I had dinner at the team hotel. Afterwards I went to Chris’s [Hoy] room and we had a few beers. I told him and he was gutted. Then there was a team meeting and I asked if I could say a few words at the end. I said thanks to everyone there for their help and support. It was sad but I managed not to get emotional. I don’t have any regrets. Telling people took a huge weight off my shoulders. CW: What have been the highest points of your career? JS: It’s been an amazing experience going from being very self-sufficient with BMX to coming to a team environment, and I found that adjustment hard at the start. But I learned to rely on other people and now I love it. It was so professional and was just like a big family. When I was doing BMX I was reading a lot of books, trying to learn, and I think a lot of it was guesswork. Results came down to talent, sure, but also a bit of luck on the day. Now I know how to create luck, how to tick all the boxes to ensure I can be the best possible for a particular event. As for the races, winning the Euros in Italy in 1992 and the cruiser title at the World BMX Championships in Brighton in 1996 were big for me. But the main one was winning the US BMX title in 2001. That was the sole reason for going to the US and to win something over a whole season was pretty special. Winning the world Keirin title was amazing and the Olympics last year was fantastic but I think we knew could do it. CW: Does the disqualification in the Keirin at the Athens Olympics in 2004 still rank as the biggest disappointment? JS: That really changed me as a person, and changed how I approach things. I wouldn’t have won in Beijing had I not lost in Athens. 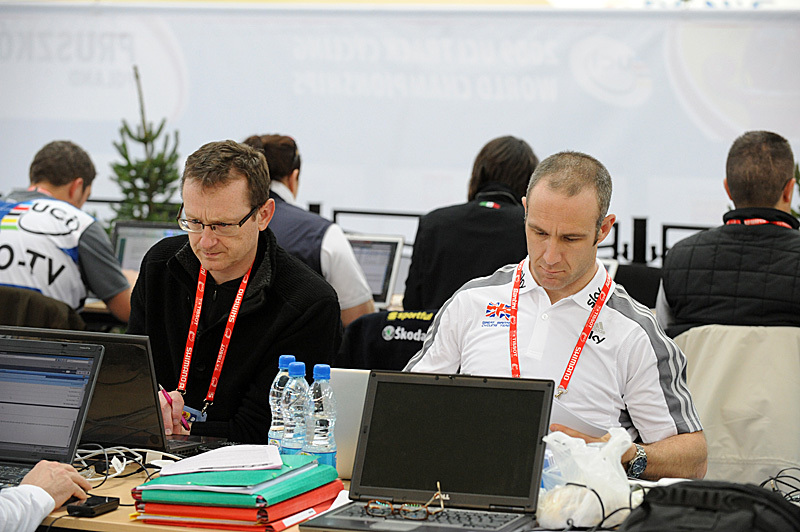 I started working with Steve Peters [British Cycling’s psychologist] a lot more. That experience is why Beijing was the easiest race of my life. I was in the best form of my life, best shape of my life, and I ticked every box I needed to tick. But I still feel the decision to relegate me in the Keirin was wrong. Whether I’d have gone on to win it, I don’t know but it was the most painful loss I’d ever experienced and a big lesson to me. I was also disappointed with the team sprint, with who the coaches put in the team, knowing the form of certain riders. But they stuck to their guns and didn’t want to make any last-minute changes when I think they should have done. CW: Is it right you almost quit cycling after Athens? JS: I wouldn’t say I had retired but I didn’t ride a bike for six months. The nearest I came was riding my wife’s cruiser down to the beach. We went to the States and I started doing some labouring for a builder, doing a bit of woodwork, getting paid a crap wage. Having said that, my dad’s a builder, I’ve always loved building sites and I’d be quite happy to work on one. CW: How did you come back? JS: I went along to Los Angeles to watch a World Cup. Shane Sutton asked me what I was doing. He said to me: “Get on the bike and give me one week’s worth of training. If you don’t want to do it after that, fine, but give me one week.” I hadn’t retired or said “that’s it” but I needed something to get me back. After that I was back. I’ve been riding 27 years. When I was BMX-ing I’d do the season, which was six or seven months, then I’d go out with my mates for three months. I’d be itching to come back. You’ve got to want to do it. I’ve always needed balance in my life, I’ve always needed down time. People don’t realise how important it is. There are some youngsters in the Great Britain team who feel they can’t take down time. There are people there I think need to let their hair down a bit more. If you just keep going and going you will get burnt out. CW: What was it like to know you’d ridden the fastest ever opening lap in the team sprint in Beijing? JS: It’s nice that the time still stands. But my goal going into Beijing was a 16.9-second opening lap. That’s what was on the planner. To do the 17.1 in the first round was great. In the second ride, I hesitated a little on the line. Usually I’m looking out of the corner of my eye for Jason [Kenny] and I didn’t see him. I started with my left and as my right foot was coming over I eased up a fraction of a second because I thought Jason wasn’t with me. I gave that pedal stroke 50 per cent, then I booted it and did a 17.3. In the final I said “Guys, I am going. I am not waiting for anything”. Steve Peters said “Go out there and give me another 17.1.” Winning that race and having the medal is great but to get myself into that position, to do everything I did to better myself and get to that level, that’s what I’m proud of. CW: Why was there such a come-down after Beijing? JS: It sounds strange really. How can you be down after winning the Olympics? I didn’t get as far as depression or anything but I was down. You get carried away, I wouldn’t say I got totally carried away but you get home, you have all the admiration and you have that brief moment of thinking you’re a celebrity and then you think ‘Wake up, son’. Not that for one minute I wanted to be a celebrity, trust me. But reality hits you that life goes on. We all went through it but it wasn’t until afterwards, when we met up socially or at functions, that we opened up about it and admitted it. But yeah, there were some low days. CW: Will you miss it and what plans do you have for the future? JS: I’ll miss aspects of it. It’s all about the friendships you make and the experiences you gain doing it. I will still be involved in cycling. My plans are to roll out a cycling academy for seven to 14-year-old kids. I’m working with a company that will take it into schools. I want to teach kids tricks, wheels, bunny-hops, do a bit of racing, BMX, track racing, tactics and team-work. We’d do a team sprint and team pursuit on a grass track, that sort of thing. Then basic mechanical stuff, such as changing a tyre. A lot of kids have a bike but it’s in the shed because it’s got a flat tyre or something. I could strip a bike and rebuild it when I was 11. People say you don’t need to learn that but I think kids are missing out on some of these fundamentals. The details are missing these days. Kids are growing up not paying attention to details. I’d also like to start a bike company, start doing track, road, mountain bike and BMX frames. I’ve had so many plans for years, it’s been great getting stuck in, sitting in my office, being creative. CW: How did you enjoy doing the commentary for Eurosport at the Worlds? JS: I love it. I like the pressure, especially when it’s live. You have to be spot on. I’ve learned a lot from Dave Harmon and before that Hugh Porter. Harmon and I work together a bit better. He gives me some good time on the mike and I’m learning. When I was BMX-ing I could tell who the rider was from their silhouette. I’m like that with the sprint events but not so much with the endurance. 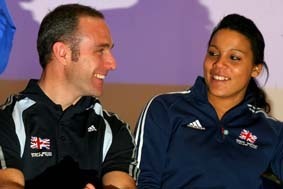 CW: Do you feel you leave the Great Britain sprint squad in good shape? JS: They’re in good shape but there’s definitely an empty seat there. Ross [Edgar] is a lovely guy and a great athlete but he’s not been quite able to get up there. I think Chris [Hoy] should move to man two. In terms of volume and workload that would help him and give him the best chance of winning all three in London. So they’re maybe looking for a man three. Matt Crampton, I heard, was a good few tenths off Chris but he’s definitely made big improvements in two seasons. Then you have David Daniell, who’ll put a lot more emphasis on the team sprint. I’ve been giving him some advice on the starts. He puts out amazing torque. He’s right there with me and Chris, but he can’t seem to get his arse off the line. He’s been working more on the sprint side. Jason Kenny has really impressed me. He’s such a normal kid with amazing ability. He’s just a kid but put a helmet on and he’s a different person. I think Jason should aim for man one, with Chris at two and David Daniell at three. CW: As a BMX rider who moved to the track, you must be following the career of Shanaze Reade closely. Do you think she’ll try to do both at London 2012? JS: I think Jessica Varnish is going to concentrate on the team sprint. She said she’d be emailing me for advice. She’s definitely got the attributes for the team sprint. I can’t comment on Shanaze too much. I’ve been her coach in the past. She’s still really young, very immature and needs to do a lot of growing up. That sounds harsh, maybe, but she really needs to address some issues. In Beijing, I completely saw her failing because of the pressure. Two years out, I saw the media interest being a problem. She’s great when she’s just being a BMX rider, but when the pressure is on, having been there, I wasn’t surprise she completely screwed it up. Steve Peters is amazing and I am his biggest fan, but you have to have a certain level of maturity to take on board what he’s saying and I’m not sure Shanaze has. She’s in la-la land half the time. She’s amazingly gifted, so driven and self-motivating but she doesn’t do herself any favours sometimes. A lot stems from her childhood and family environment but if things don’t work out, Shanaze just moves on. She needs to start taking responsibility for her actions. It’s never her fault, it’s always someone else. If she didn’t hear what she wanted to hear from the coach she stopped listening. I know she looks up to me as a person but it was difficult to get things across sometimes. To me the Great Britain team messed up a bit by putting too much emphasis on developing her physically. There was no need. She was already streets ahead of everyone else. She’s so gifted, so strong, but that’s not her weakness. I wasn’t shocked she messed up in Beijing. She needs to be careful she doesn’t do the same with London. We all know Vicky [Pendleton] had some issues in the early days, different ones, but she worked really hard at it. Shanaze needs to go down that route a lot more. She needs to learn to cope with pressure. She got second at the UCI race recently, so maybe that will be a reality check. It’s hard, if you win all the time you don’t know how to lose or how to respond when it’s not going the way you expect. I can relate to that. She’s so strong down the first straight she rarely has to come round people. But God forbid if she’s not at the front at the first turn because she doesn’t know what to do. I tried to get her to be last out of the gate in some smaller races and practice coming past people but she wouldn’t do it. As for track racing, she hasn’t shown any signs she’s going to do that. She’s not naïve. She knows she can’t rock up to the track at the Olympics. At the moment I’ve got concerns over the BMX, let alone doubling up. CW: Which event did you enjoy most? JS: I enjoyed all of them at different times. BMX is an art form sometimes, with the jumps and stuff. It was a lot of fun. I remember British Cycling asked me to go up to Manchester to do some tests and they asked me if I wanted to do track cycling. I asked if there was any money in it and they said no. If they’d said then there was the chance of an Olympic medal, I’d have gone for it. I think I could have done an amazing kilo at Sydney [2000 Olympics] if I’d switched earlier. CW: What will you miss most? JS: The friendships is what it’s all about. I’ll miss aspects of the training but really it’s about the people you meet and the friends you make.